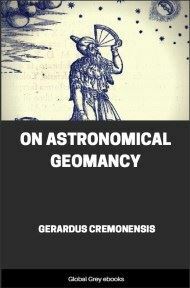 With 42 woodcut illustrations. 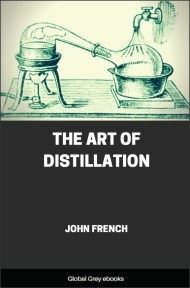 This is a detailed handbook of knowledge and practice at the time, said to be possibly the earliest definitive book on distillation, by John French, an English physician who lived in the 17th Century. 1. Distillation is a certain art of extracting the liquor, or the humid part of things by virtue of heat (as the matter shall require) being first resolved into a vapor and then condensed again by cold. 2. Distillation is the art of extracting the spiritual and essential humidity from the phlegmatic, or of the phlegmatic from the spiritual. 3. Distillation is the changing of gross thick bodies into a thinner and liquid substance, or separation of the pure liquor from the impure feces. 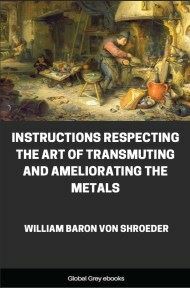 I shall treat of distillation according to all these three acceptions, and no otherwise, hence I shall exclude sublimation and degrees of heat there are, and which are convenient for every operation, and they are principally four. 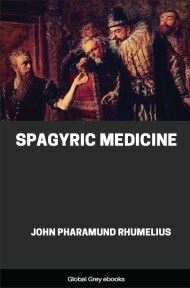 The first in only a warmth, as is that of horse dung, of the sun, of warm water, and the vapor thereof, which kind of heat serves for putrefaction and digestion. The second is of seething water and the vapor thereof, as also of ashes, and serves to distill those things which are subtle and moist, as also for the rectifying of any spirit or oil. The third is of sand and filings of iron which serves to distill things subtle and dry, or gross and moist. 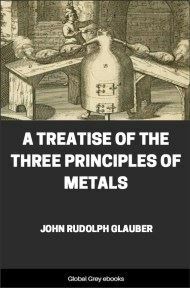 The fourth is of a naked fire - close, open or with a blast which serves to distill metals and minerals and hard gummy things, such as amber, etc. I do not say serves only to distill these, for many former distillations are performed by this heat, as the distilling of spirits and oils, etc., in a copper still over a naked fire; but these may be distilled by the two former degrees of heat. But minerals and such like cannot but by this fourth degree alone. The matter of furnaces is various, for they may be made either of brick and clay, or clay alone with whites of eggs, hair and filings or iron (and of these if the clay be fat are made the best and most durable furnaces) or of iron or copper, cast or forged. The forms also of furnaces are various. The fittest form for distillation is round; for so the heat of the fire being carried up equally diffuses itself every way, which happens not in a furnace of another figure, as four square or triangular, for the corners disperse and separate the force of the fire. Their magnitude must be such as shall be fit for the receiving of the vessel; their thickness so great as necessity shall seem to require; only thus much observe, that if they be of forged iron or copper, they must be coated inside, especially if you intend to use them for a strong fire. They must be made with two bottoms distinguished, as it were, into two forges, the one below which may receive the ashes, the other above to contain the fire. The bottom of this upper must either be an iron grate or else an iron plate perforated with many holes so that the ashes may the more easily fall down into the bottom, which otherwise would put out the fire. Yet some furnaces have three partitions, as the furnace for reverberation, and the register furnace. In the first and lowest the ashes are received. In the second the fire is put, and in the third of the furnace for reverberation, the matter which is to be reverberated. This third ought to have a semi-circular cover so that the heat may be reflected upon the contained matter. The bottom of the third and uppermost partition of the register furnace must be either a plate of iron or a smooth stone perforated with holes, having stopples of stone fitted thereunto which you may take out or put in, as you would have the heat increased or decreased. In the top or upper part of all these furnaces where it shall seem most fit, there must be two or three holes made, that by them the smoke may more freely pass out and the air let in to make the fire burn stronger if need requires, or else which are to be shut with stopples made fit to them. The mouths of the fore-mentioned partitions must have shutters, just like an oven's mouth, with which you may shut them closed or leave them open if you would have the fire burn stronger. But in defect of a furnace or fit matter to make one, we may use a kettle or a pot set upon a trivet, as we shall show when we come to give you a description of the furnace and vessels. The truth of the matter is, a good artist will make any still, yea and in half a day's time make a furnace or something equivalent to it for any operations. Vessels for distillation are of various matter and form. For they may be either of lead, which I altogether disapprove of for that they turn the liquors into a white and milky substance besides the malignity they give to them, or they may be of copper, iron, or tin which are better than the former. They may be of jug-metal, or potter's metal glazed, or glass which are the best of all, where they may be used without fear of breaking or melting. Some make them of silver, but they are very changeable. They that are able and willing may have the benefit of them. The best lute is made thus. Take of loam and sand tempered with salt water (which keeps it from cleaving). To these add the caput mortuary of vitriol or aqua fortis, and scalings of iron, and temper them well together. This serves to coat retorts or any glass vessels that must endure a most strong fire, and will never fail if well made. Some add flax, beaten glass, and pots and flints, etc.